Explore the tastes of NYC with week long benefits of $4 featured cocktails or appetizers at some of the best bars in NYC; enjoy a uniquely curated taste of the neighborhood at a fraction of the normal price. We currently have over 75 bars participating in Cocktail Week and more joining every day! Take a look at the participating bars here. If you’re interested, you can purchase your ticket above! Your ticket entitles you to a wristband. You can pick up your wristband at featured bar locations throughout the city during the week of July 13th – July 17th or wristbands can be ordered for shipment (additional cost to ship) with your online purchase. Bring your ticket. This will have the necessary bar code that will be scanned in order to provide you with your wristband. As an alternative to a printed ticket, download the Eventbrite app in which you can store and present your ticket. You will also be required to present your ID when picking up your wristband at featured bar locations. Pick up bar locations are Zum Schneider, Revival (opens at 4pm) and Overlook. You can pick up your wristband between the hours of 3pm and 8pm, Monday- Friday of Cocktail Week (see Revival opens at 4pm). More pick up locations will be added, so be sure to check back before July 13th. 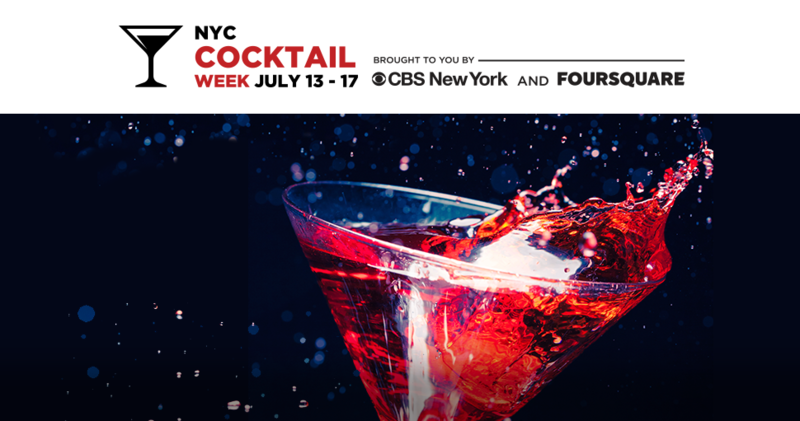 Finally, you must be 21+ to purchase and participate in NYC Cocktail Week.